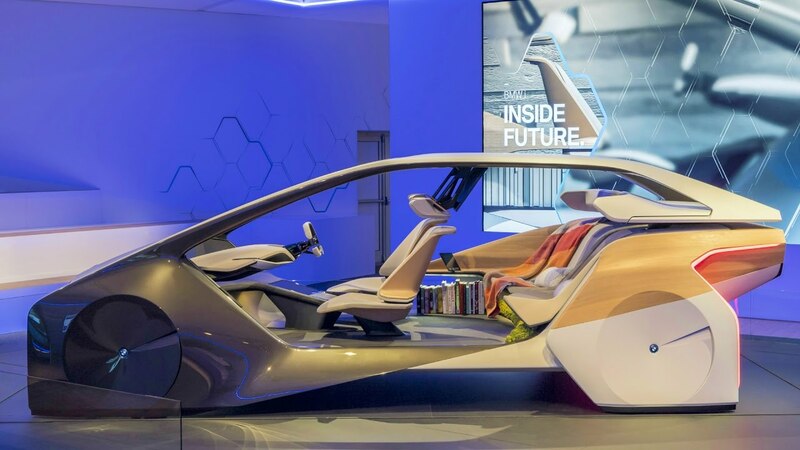 BMW i Inside Future is the name of this future BMW ride below. 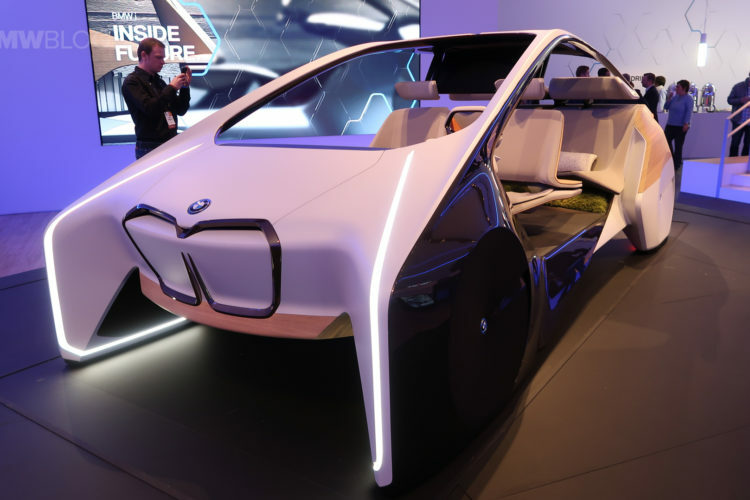 BMW is taking its vision for amazingly stunning self-driving cars to a higher level. 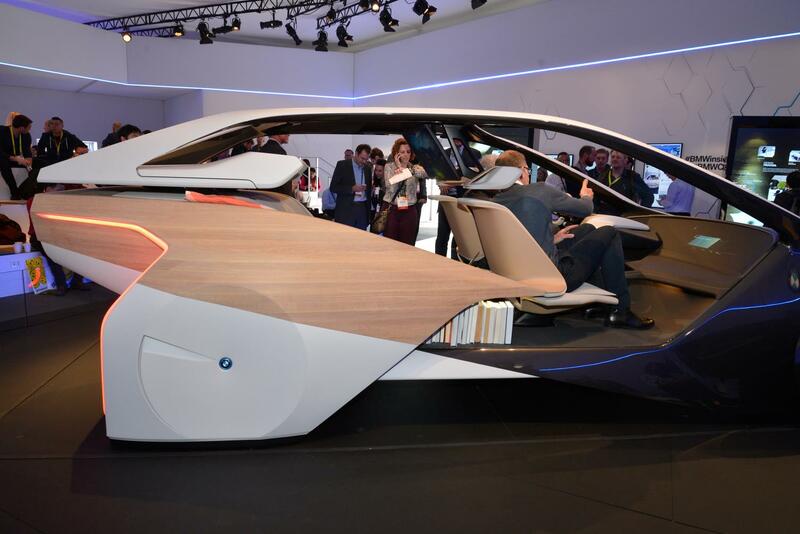 The German company unveiled its crazy concept car which apparently is meant to demonstrate how autonomous driving would look like come 2020 and beyond, at this year’s Consumer Electronics Show in Las Vegas, USA. You may be thinking that the car floats, but no. it’s wheels are almost 100% covered. This increase the grip and torque. The concept has a thrilling design. On thing about this car is that, it follows the self-driving bandwagon. 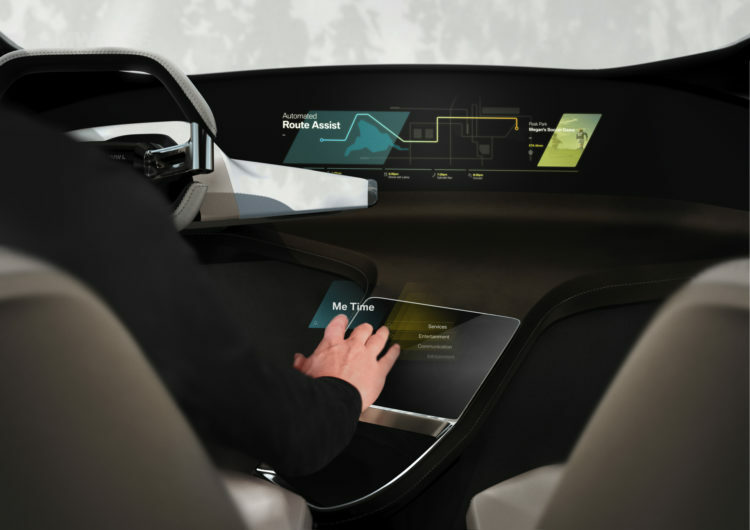 Increased connectivity will allow for passengers to have every device, whether it be a smart phone, tablet or smart watch, connected to the car. This way, it will know the passenger’s schedule, preferences, music tastes, addresses and contacts. So the car can be your rolling J.A.R.V.I.S. if you like. 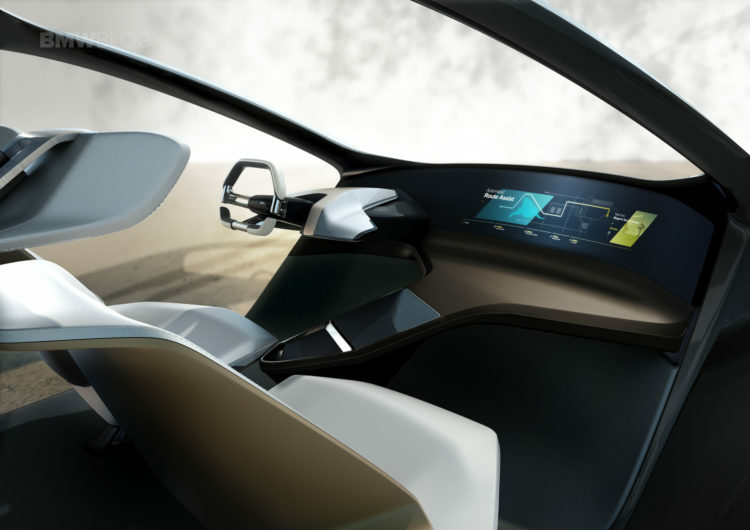 BMW is also looking to transform the way the brand looks at car interiors for the future. In an almost anti-BMW fashion, Bavarian interiors in the near future will become focused more on comfort and the lack of driver focus than anything else. BMW cabins of the past were always driver-focused, with every instrument, button and switch aimed at the driver. 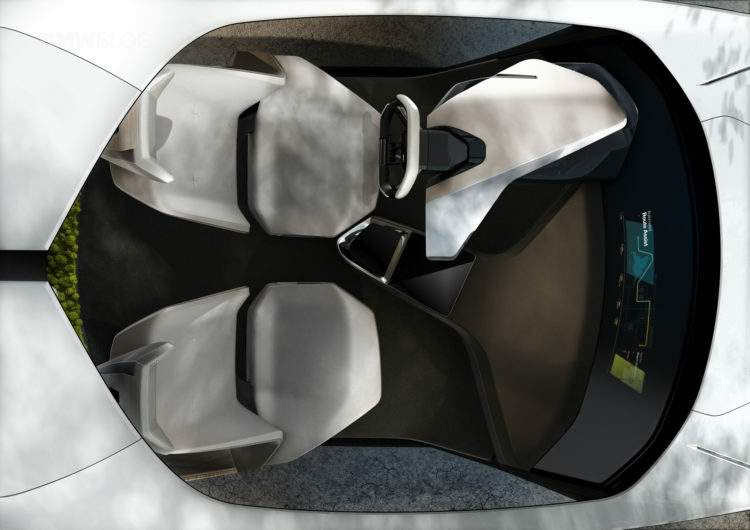 However, with the BMW i Inside Future sculpture, the interior has become more of a living space for connected passengers. 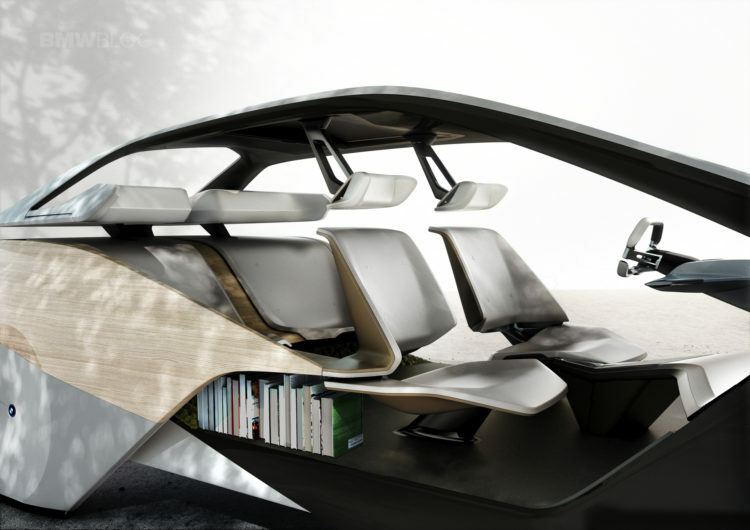 With autonomous capabilities, passengers would be able to read a book or even watch a movie or television show. There could even be a partnership with BMW and Amazon Prime Instant Video, so passengers could watch episodes of The Grand Tour while riding in their car.